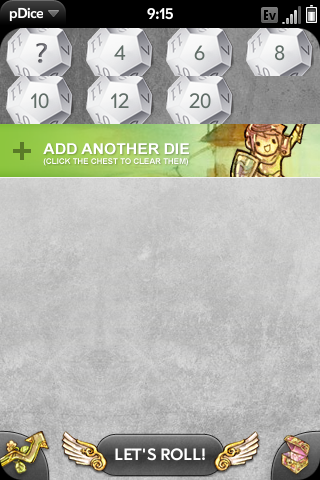 pDice is a D&D (or any other table top RPG) dice rolling application. Add a die, select its type, and roll. Simple as that.